Along with elements standard to a French Country design, this home includes some unique features. 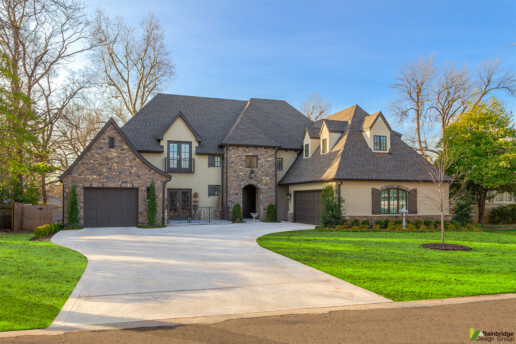 The single stall garage incorporates stone corbels at the roof to wall junction on the front facade and a flared roof on the central side of the house. 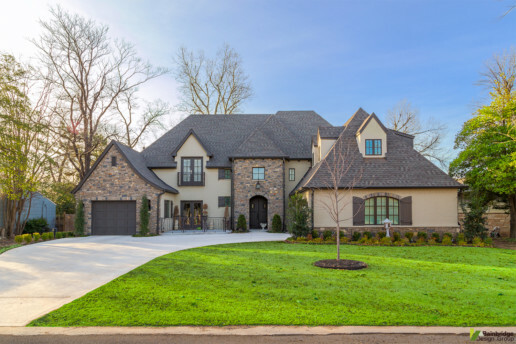 A series of gabled roof dormers above the two car garage provide natural light to upstairs spaces while adding character to the exterior aesthetic. The alternating extruded brick soldier around the eave of the brick facade is another detail that contributes to the refined elegance of this home.